and a few scattered places in the South and Southeast. 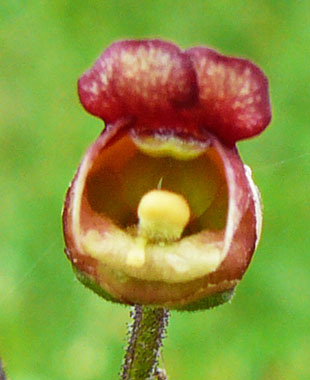 It is a neophyte which was found in the far Southwest in the 1710s. 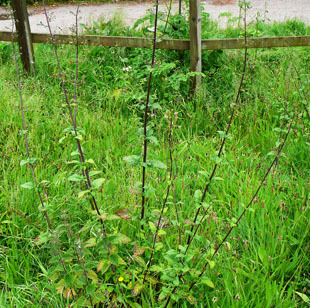 It grows in hedge banks and waste ground close to the sea. up to 1m or so. 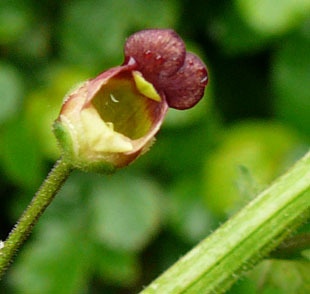 The flowers are up to 1cm and are red-purple-brown. 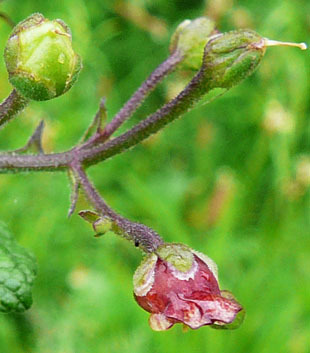 The sepals have a pale edge. 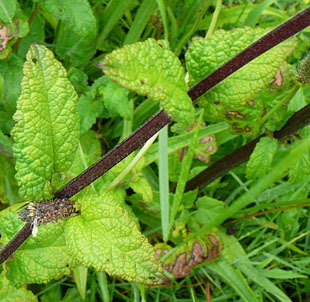 Leaves are oval and crinkly. 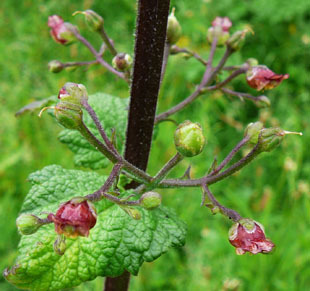 Stems are slightly angled but appear rounded.